November is a month I dedicate to gratitude. It is a time for Thanks and Giving! First, the thanks. This coming weekend (Friday-Sunday), I will be part of the Sacramento Arts Festival at the Sacramento Convention Center at 14th & J Streets. This is one of the events that began my art and writing career over 10 years ago. 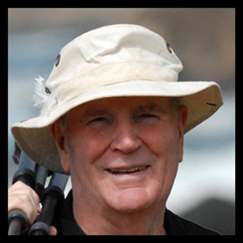 I am grateful to Warren Cook, who produces the Festival for having faith in my work and allowing me to show it in such a popular and public place. I am grateful for all the artists who work so hard to share their creativity and soul with the world. I thank my higher power, whom I choose to call Spirit, for the opportunity to share my vision and my message (a Love Revolution) with you. Bring a friend and stop by the Festival to say hello. I’ll be in the lobby, the first artist you’ll see at the entrance. As a way to show my gratitude to you, when you come by my table, you can enter to win a boxed set of six greeting cards that each have an original 4″ x 6″ fine art print. 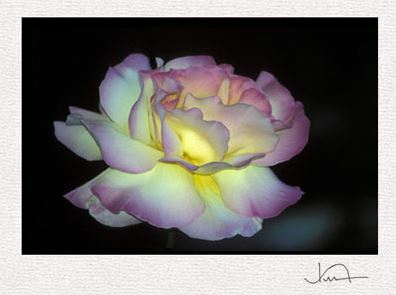 The front of each card is signed and the back includes an identification of the image. They make a great host gift or a beautiful way to show your thanks during this month of gratitude. 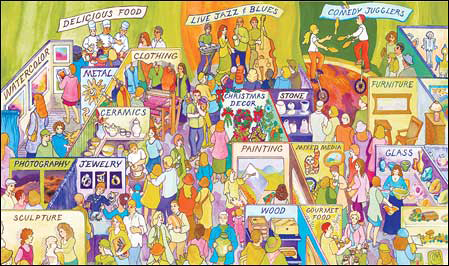 This event, in its eighteenth year, is chock full of 225 craftspeople and fine artists of every discipline creating beautiful objects by hand that make for wonderful holiday gifts. Here’s a link for a discount on the $8.50 regular/$7.50 senior admission. Now for giving: My wife Prem and I will be participating in efforts to share the meaning of Thanksgiving with those less fortunate, by serving meals at the Salvation Army. Giving gives back in so many ways. It’s a time for us to recognize that there are people who need and cherish unconditional love, and venture out from our warm and comfortable abodes to help. The Parliament of the World’s Religions, which Prem and I attended recently, was proof positive that people of all faiths, or none, can respect and love one another, unconditionally. My next email message will tell that story. It’s a fascinating tale. 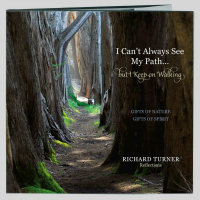 This entry was posted in Appearances, Book Signing, News, Photography Book and tagged Greeting Cards; Richard Turner; Photography, Parliament of the World's Religions, Sacramento Arts Festival.